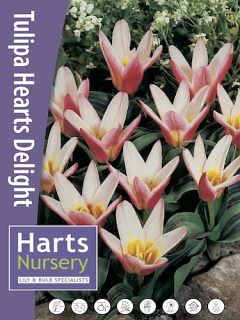 The ever popular Tulip is a spring flowering bulb that comes in many colours and sizes. 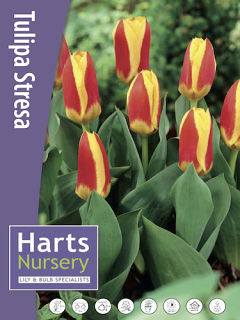 Perfect to grow in pots or straight into the garden to give an array of colours throughout Spring. 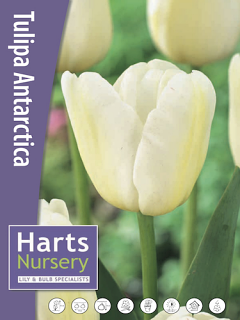 Tulips need to be planted in the Autumn. 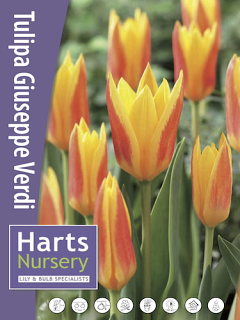 Please note, our Tulips are sold in packs. Please check the quantity you enter, 1 = 1 x PACK of Bulbs. Varieties may differ in pack size. 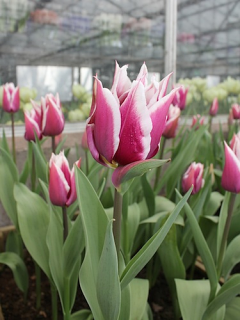 'Estella Rynveld' is a stunningly rich raspberry red and white frilly-edged, parrot tulip. 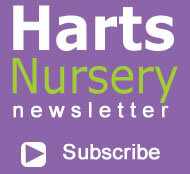 A real show stopper for any garden during the Spring months. 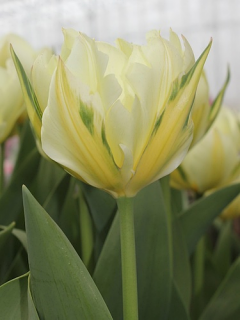 Exotic Emperor Tulips have striking green and yellow stripes on each petal to form a semi-double tulip with a delightful scent. 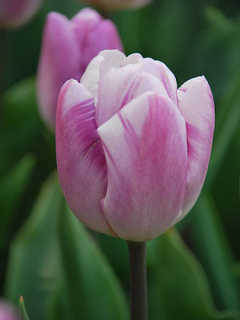 Flig Flag tulip produces cup-shaped blooms in lilac blushed with white. 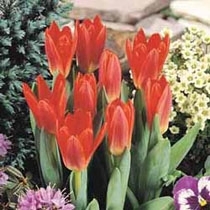 This tulip will stand out against other tulips that are of a single colour. 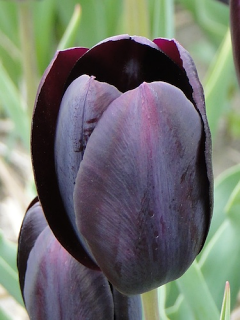 A gorgeous mixed tone tulip of purple and green. A show stopper for any garden or patio! 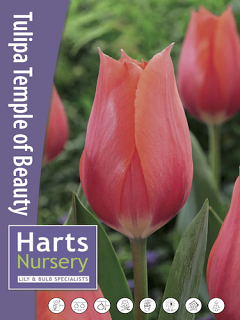 A deep crimson coloured single tulip that is early spring flowering. Ronaldo is sure to becoming one of our new favourite varieties.